CONNECT… with God and Others! We believe that life with God is a journey, and every journey has a beginning. 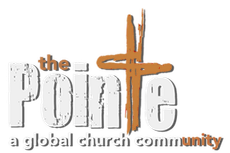 Here at The Pointe, we do our best to assist you in discovering your starting place with God. In fact, we believe that God has been looking for you and can’t wait to enter into a personal relationship with you. That is why Jesus came… to Connect you to God, which results in a rich and satisfying life, both here on earth, and with God in heaven forever! We also believe that everyone does best in their relationship with God when they live life together in community with others. We offer special events and opportunities where building relationships is easy. If you are not sure how to start your journey with God, just ask. We will be happy to assist you.